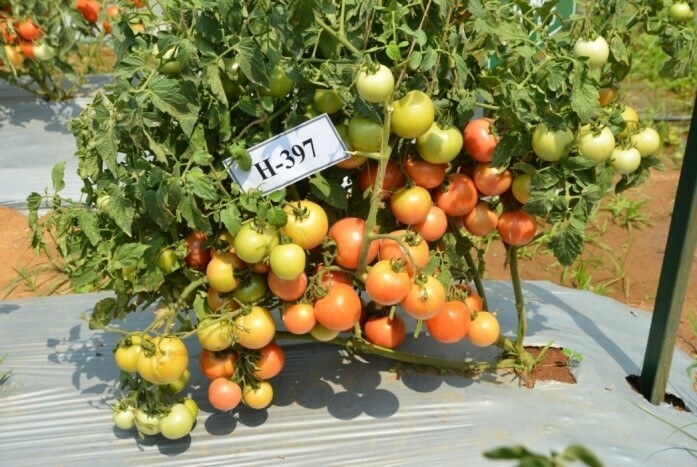 High yielding F1 hybrid with multiple disease resistance to Tomato Leaf Curl Disease (Ty2+Ty3), Bacterial wilt, Early blight and Late blight (Ph2+ Ph3). Plants are semi-determinate with dark green foliage. 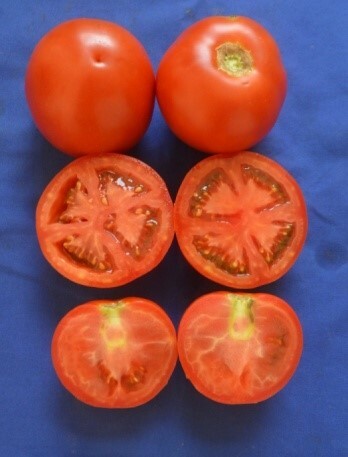 Fruits are firm, oblate round & medium large (90-100g). Suitable for summer, kharif & rabi cultivation. Bred for fresh market & yields 70-75 t/ha in 140-150 days.